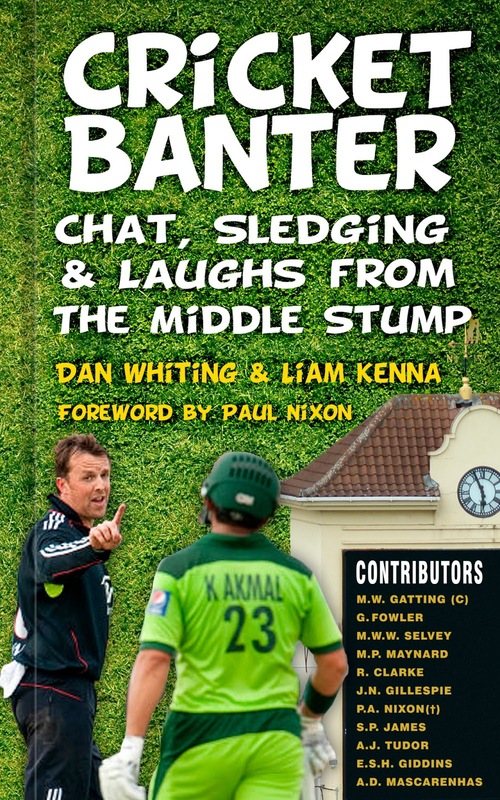 The Middle Stump: Win a signed copy of our book Cricket Banter! 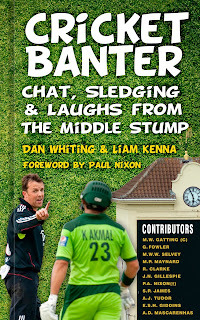 Win a signed copy of our book Cricket Banter! Over the next month we are going to be running a series of competitions to celebrate the publication of our new book Cricket Banter! You will get 5 opportunities to get your hands on a copy signed by the authors, making you the envy of all your friends. No doubt these will be family heirlooms in the future when you pass them down to your grandchildren. Starting today, and then on every Saturday of the month afterwards, we will be posting a photograph of cricketing stars giving each other a bit of chat on @themiddlestump. The first one will be the image on the cover, Graeme Swann and Kamran Akmal. In order to win a copy, all you have to do is prove how good your banter is! · Tweet us @themiddlestump with your caption for the photograph. What is Swanny saying to Akmal? Or vice-versa?